The always beautiful Candice Lake opens up her home to Vogue Australia for their September issue. 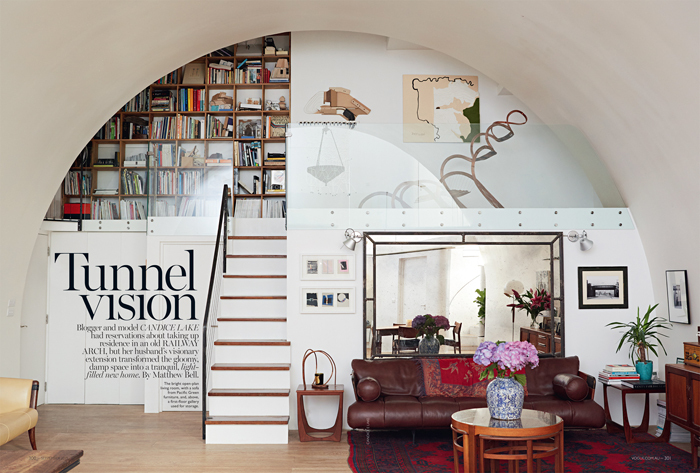 'Tunnel Vision' shows us the incredible space Candice & her husband Didier Ryan have created & occupy deep in the South of London with their son Arden. Transforming an rail way arch into a light filled haven.